Building on the themes in his wildly popular book GodWinks, SQuire Rushnell shows how ordinary peoples’ lives have been profoundly changed by extraordinary moments that are more than coincidence. There is something more to coincidences than meets the eye. Like winks from a loving parent or grandparent, coincidences or “godwinks” are messages from God that you are not alone and everything will be okay. The true stories in this book reaffirm that godwinks happen to everyone. We just need to learn how to see them, allow them to unfold, and accept them as direct, person-to-person communications from God to each of us. As you’ll see, those so-called coincidences that you’ve been dismissing so easily really do mean something. And you need to pay attention. They are like unopened gifts that have been placed upon your doorstep. You will be amazed to read how every joy, every hurt, and every worry that you experience has already been written about in the Bible. Godwink Stories simply draws upon the parallel between the stories of real people and God’s wisdom in the scriptures. Godwink Stories can be read in various ways. You can read the book cover to cover. Or follow along each week for a year. It’s also perfect for a quick pick-me-up that fits your daily need. 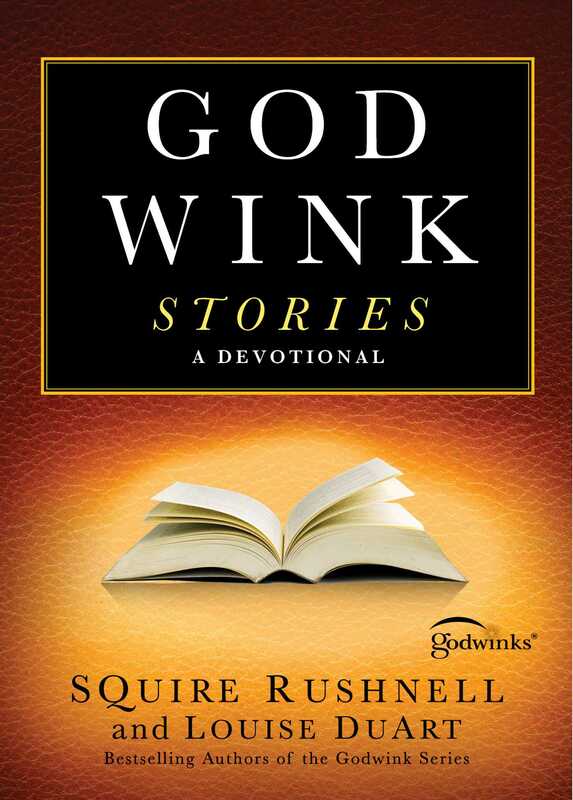 Whether you’re looking for reassurance or joyful inspiration, there’s a godwink story just for you. Filled with letters from readers covering such topics as encouragement, health, and love, you too can find God’s presence in your daily life, and be inspired to look for the divine connections that unite us all. 1 How Can I Shake My Unhappiness? Is any one of you in trouble? Let him sing songs of praise. • People are not treating you with respect. • Or maybe you’ve been “unlucky”; born into a burdensome life. If so, you may ask, Why are those reasons for being unhappy justified for you, but not for others who are worse off than you? People in more lowly jobs than yours, with worse handicaps? Yet who greet each day whistling and smiling? Or how about those who are sitting in wheelchairs, unable to feed themselves, who nonetheless always have something cheerful to say and are never heard to blame their circumstances? If so, don’t worry. These people have discovered a secret, but it’s a secret that belongs to you as much as it belongs to them. It’s this: happiness is not something you are bequeathed at birth, like wealth or poverty; it is not something you earn through hard work, like a college education; and it is not something given to you because of your dialect or skin color. Happiness is a state of mind that you choose for yourself. Being happy cannot be attributed to circumstances—though many try—and cannot be dependent on someone else—though many think it is. Happiness is something you can have, right now. God has made the one as well as the other. People who are happy have chosen to adopt an optimistic attitude and to approach every day in an intimate partnership with God. My dear friend Sebastian died in December. We worked together and were best friends. The day I found out Sebastian had passed away, I was in shock. I left work and prayed for a sign from God that some essence of Sebastian would still survive, in spirit, and that somehow my grief could be heard. He smiled gently, turned, and moved forward in line. I haven’t heard that phrase used often, except with my dear Sebastian. It’s not a typical greeting. I wanted to believe that, somehow, God and Sebastian were reaching out to me from beyond. I left the post office with a surreal feeling—still unconvinced, still holding on to my grief and pain; still shrugging it off as just a coincidence. She wrote the title and author’s name on an envelope. I kept it until I got home. I was going to throw it away . . . not feeling like receiving any pep talks. But I kept it. On Christmas morning I opened a gift from my sister, Dorothy, and there it was—that very book—When God Winks at You: How God Speaks Directly to You Through the Power of Coincidence, by SQuire Rushnell. I excitedly showed my sister the note given to me by the woman I’d met at McDonald’s. Now it all makes sense. It’s a comfort to know that hearing Sebastian’s phrase, “Are ya happy,” was no coincidence: it was a Godwink! What a wonderful lesson from Janet. It makes us wish we all could have known Sebastian. He seems like the type of person who never wandered around telling everyone what a bad day he was having, what terrible things others were doing to him, or what a difficult hand he’d been dealt since birth. Instead, Sebastian chose to be happy. It was that simple. than to be happy and do good while they live. Today, decide for yourself whether you are going to look at the glass as half full or half empty. It’s your choice. Yours and God’s. And He wants your glass to be overflowing. Try being a Sebastian today. Are ya happy? SQuire Rushnell is a popular speaker and New York Times bestselling author who has coined the term “Godwink,” now in mainstream usage. Within more than one million books in print, SQuire’s Godwink stories are a popular monthly feature on the NBC Today Show. He has also appeared on several national television programs including Fox News Channel’s Fox & Friends and CBS Sunday Morning. 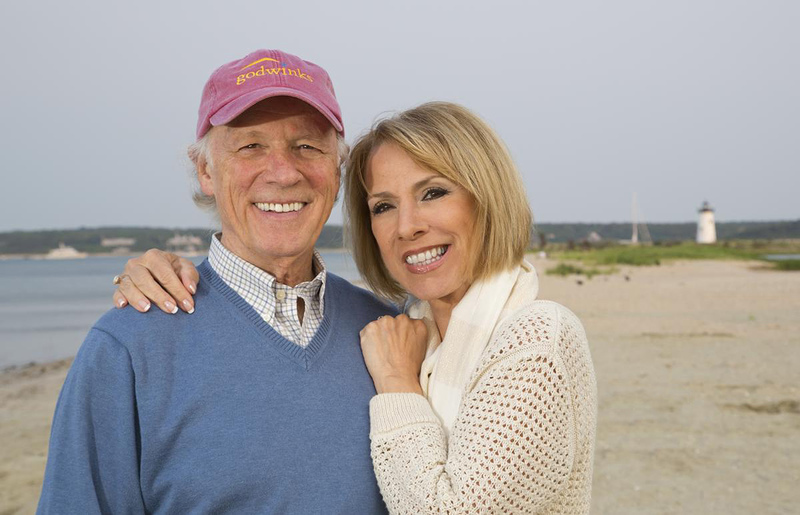 As a veteran ABC Television Network executive, he led Good Morning America to the number one spot and oversaw the acclaimed Schoolhouse Rock! series and the ABC Afterschool Specials. Programs under his direction have captured more than seventy-five Emmy Awards.